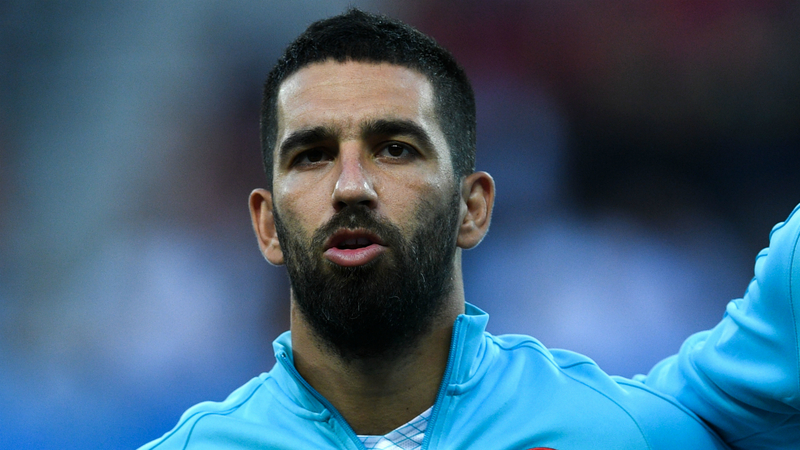 Arda Turan has been fined approximately €370,000 by Istanbul Basaksehir after he was allegedly involved in a fight with Turkish singer Berkay Sahin. The 31-year-old, who is on loan at the Super Lig club from Barcelona, admitted in an Instagram post that he had been caught up in an "argument" but claimed the details of the incident had been exaggerated by the media. Istanbul Basaksehir called an extraordinary board meeting on Tuesday to discuss the case and confirmed via a statement that they had fined Arda. It is said to be the heaviest punishment of its kind ever issued to a player in Turkey's top flight. They said: "As this matter is now with a court of law, and reserving the right to make additional decisions and sanctions, we have fined Arda Turan 2.5million Turkish lira and we would like to inform the public that our player's professional obligations to our club will continue until the court makes its final decision in this regard." According to Anadolu Agency, prosecutors are calling for 12 and a half years in prison for Arda, while Berkay could also receive a shorter custodial sentence. His loan from Barcelona is due to expire at the end of the 2019-20 season.